Here are a few copies of 'Beautiful World' by artst K-Guy. These are screenprints of his recent 3D paintings that he sold a few months back. These are all 2 colour 50 x 70cm screen prints on 325GSM Cairn board with edition sizes of only 15 each, they come signed and numbered by the artist for £120 each. Here is a wicked print called 'Woofer Tweeter Study # 42' aka 'Speakers' by artist Flummox Industries. This makes me want to turn my stereo up louder! :) This is available with 5 different backgrounds, they are all 20 x 28 inch prints on 192GSM ultra premium matte paper. No idea if there is an edition size, signed? numbered? for $95 each. I will get more details soon. Awesome print though!! 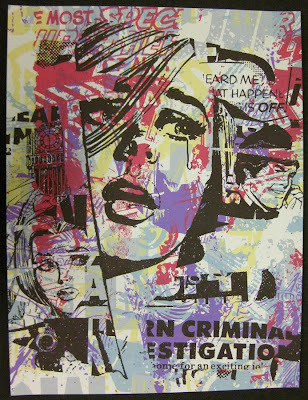 Here is a NEW print called 'Daily Operation' by artist Cept. These are all 2 colour 50 x 70cm screenprimnts on acid free paper with an edition size of 20 each, they come signed and numbered by the artist for £50 each. These are available through StealFromWork. Here are some more AMAZING designs by artist Sanna Annukka. This time she used wooden tealights as her canvas. The 'Aurinko' is 1 colour 20 x 6 x 6 inch in size screen printed varnished solid brown oak towers for £89 each pair. Here is a great print from artist Hollis Brown Thornton this is called 'Atari' and it is available through 20x200. Which means it is available in 4 different sizes from 8 x 10 inches for $20 each up to 24 x 30 inches for $1,000 each. 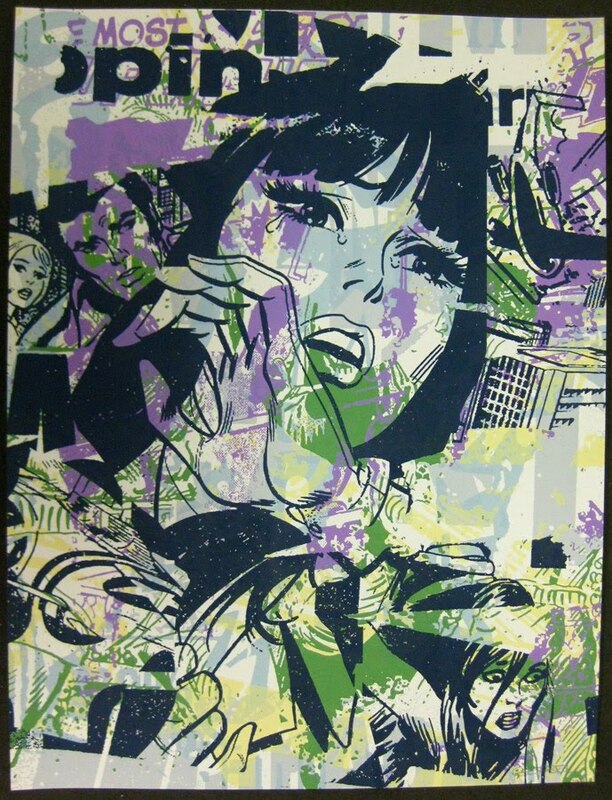 This is a WICKED print!! Measuring up at 19" x 25"